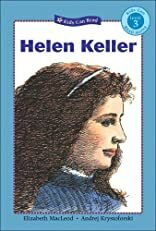 Meet Helen Keller -- advocate for the blind and deaf. The story of Helen's struggles to learn how to communicate and the enormous difference she made for the blind and deaf around the world is told in level-appropriate language and detailed illustrations. A Level 3 first reader.